The Haryana Staff Selection Commission has rolled out a vacancy notification via hssc.gov.in for the Haryana Police Recruitment of 7110 candidates at Constable & Sub-Inspector (SI) posts. The candidates, who desire to grab these Haryana Police Jobs 2018 are humbly advised to submit their duly filled Haryana Police Application Form 2018 before last date i.e. 2nd July 2018. 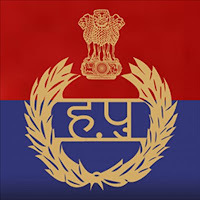 The newly offered Haryana Police Vacancies 2018 are undeniably some ravishing opportunities for all the eligible candidates, by which they can grab a reputed government job in an esteemed department. Latest Updates: Online Form submission is closed now and examination dates has not been declared yet. Candidates can check all details from here. HSSC Group D Result 2018 ? candidates can check HSSC Group D Result, HSSC Group D Cut Off Marks? Latest Update ?Haryana Group D Merit Lisr pdf Download!